We know the Note 9 is coming: Samsung sent us an invite for an unveiling on August 9. But thanks to a leak via Android Headlines, we’re getting our first good look at the device. Surprise: it looks a lot like the Note 8. Not that that’s a bad thing: Samsung’s design ethos has gotten a bit stale, but the Note 8 was still a good looking phone. AndroidHeadlines says the image is an official render that has been provided by a reliable source, and the publication has a good track record with leaked images. 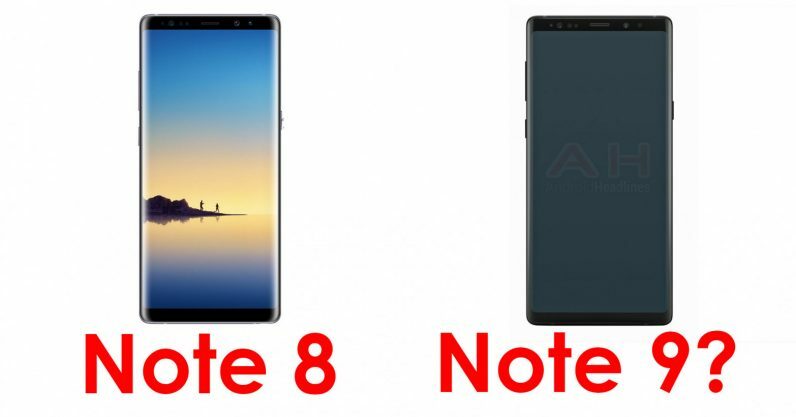 In any case, I imagine Samsung is keeping its big redesigns for next year’s Note 10, because 10 is a special number and all. We can see that the top bezel keeps the front facing camera, iris scanner, and other sensors in the same place as the Note 8. Unfortunately, the leak only shows the front of the device; the back would have told us a lot more. For example, the device’s headlining feature is supposed to be its three rear cameras. Meanwhile, early rumors suggested it would abandon the rear fingerprint sensor in favor for an in-display one, but it’s now expected that feature has been pushed back to next year’s S10. Still, it would’ve been nice to confirm. With August 9 fast approaching and more leaks likely to come, it shouldn’t be long until we find out more.